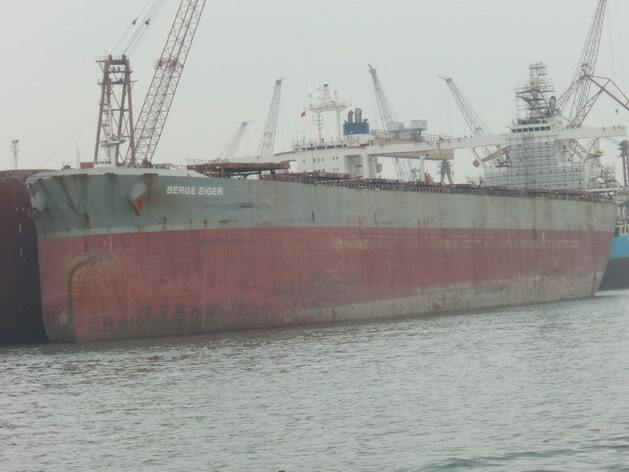 BergeBulk Berge Eiger Vessel was scheduled to dry docking maintenance at Shenzhen Youlian dock yard in March 2015. 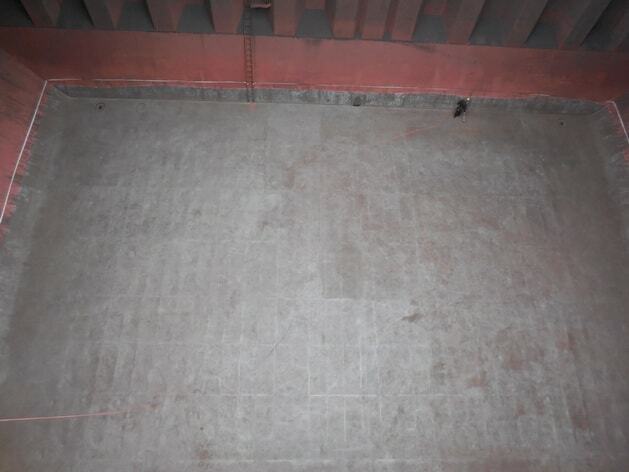 The cargo hold originally protected by epoxy coating system was corroded and damaged by mechanical impact, inner bottom plate appear rusted, seriously pitted corrosion and no any protective coating. 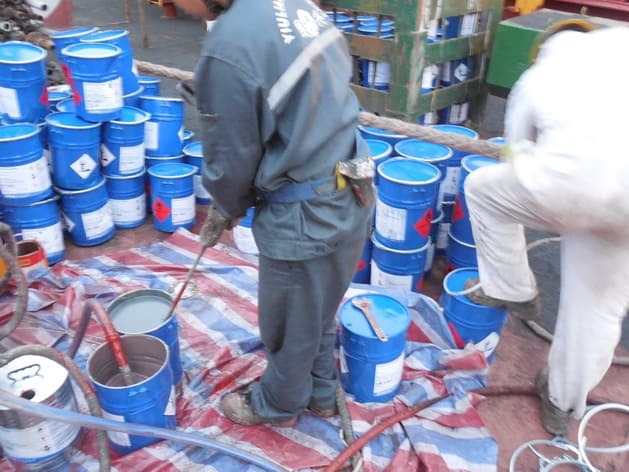 STEELPAINT materials has been chosen for protect ship’s most harsh areas, inner bottom plate and lower hopper plate, which areas are subject to frequently cargo impact, mechanical damage by forklift and grab bucket, but also risk of corrosion from ballast sea water. STEELPAINT materials durable protection performance was proven by the experience on the board of Berge Matterhorn, and satisfied by owner. 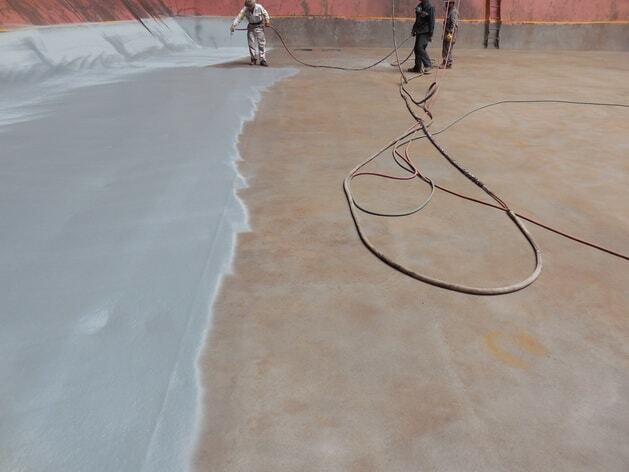 STEELPAINT moisture curing polyurethane products provide extraordinary capability of mechanical damage resistance by inherent characteristic and sustained effective corrosion protection. 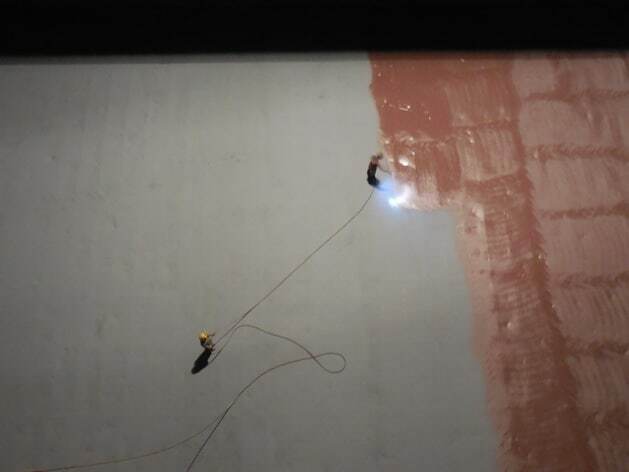 NextDEME – Dredging vessel “Brabo” Underwater Door Seals repairs with Metaline in drydock.